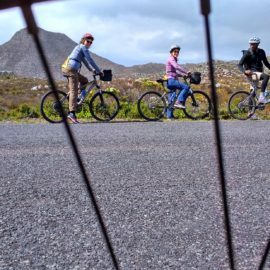 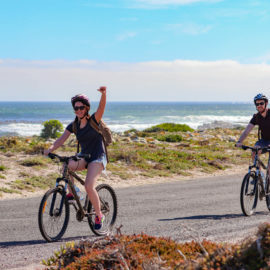 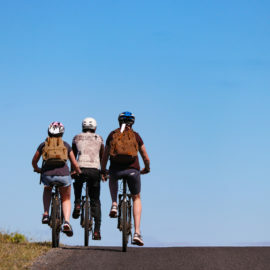 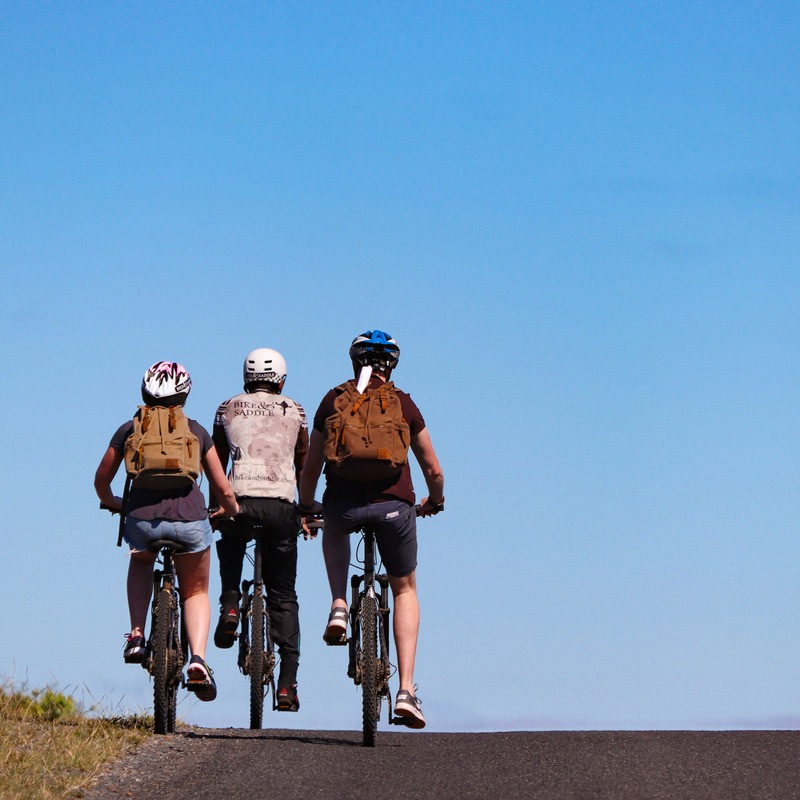 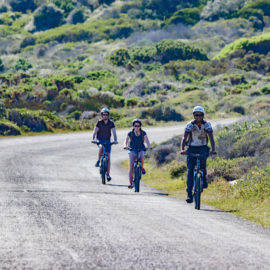 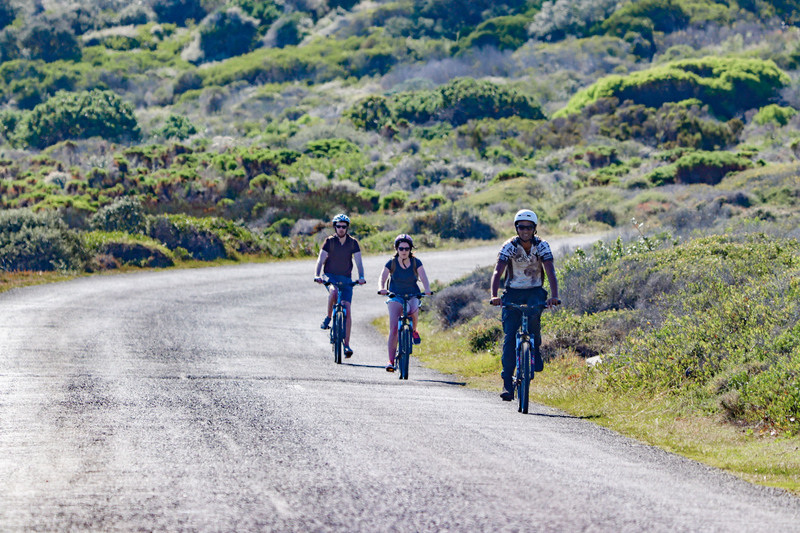 After introductions and pick-up from your hotel, we transfer to the Cape of Good Hope Nature Reserve, where guests will be paired with state-of-the-art mountain bikes and equipment. 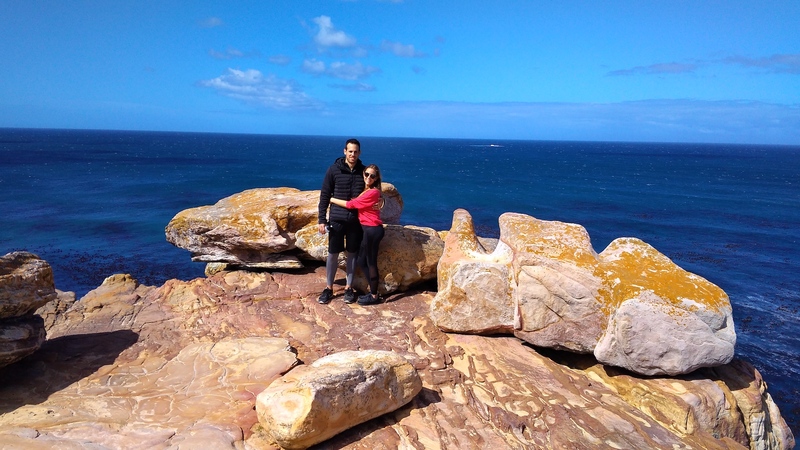 Cape Point is simply sensational, a must-see on any visit to the Mother City. 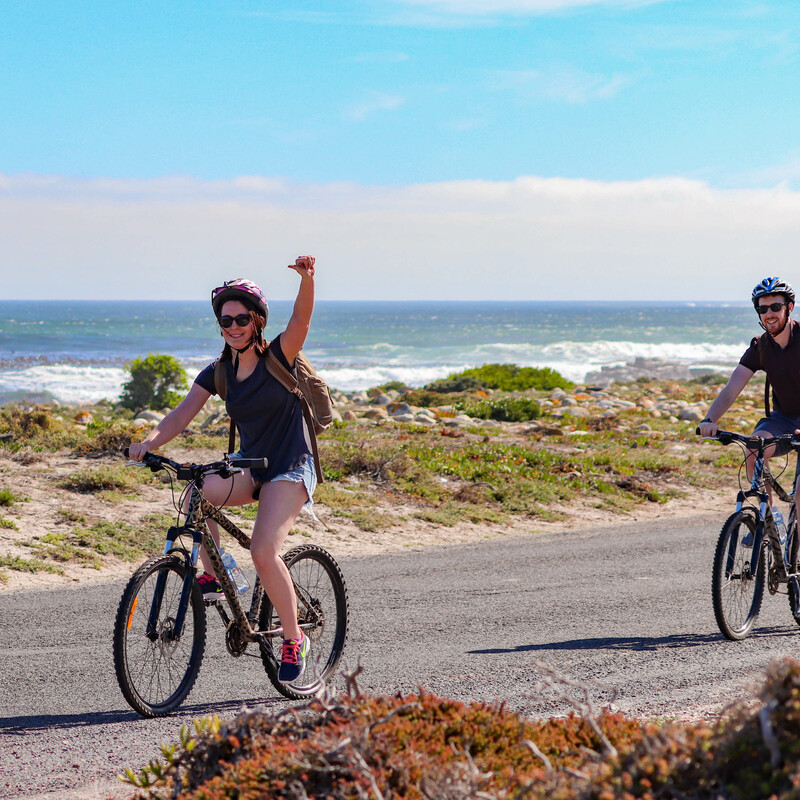 A towering headland at the end of the peninsula, it is the meeting point of the cold Benguela current and warm Agulhas current as the western and eastern oceans collide in spectacular fashion. 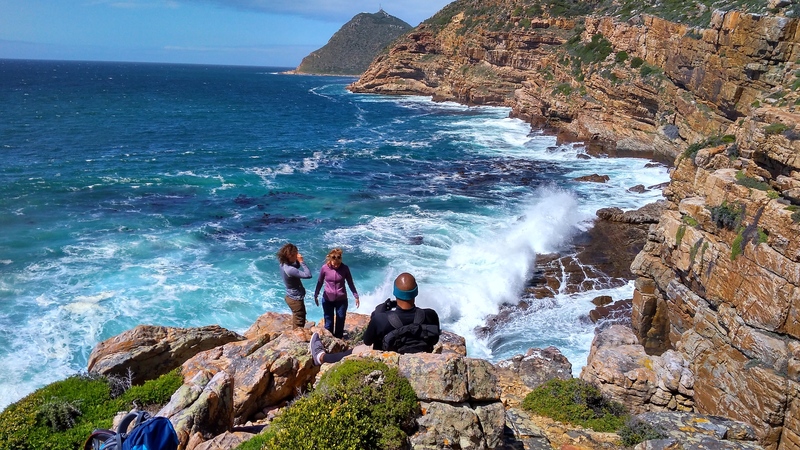 It is the most southwestern point in Africa and abounds with indigenous fynbos (fine bush) of the Cape Floral Kingdom, a Natural World Heritage Site that is the smallest, yet most diverse, of the world’s floral kingdoms. 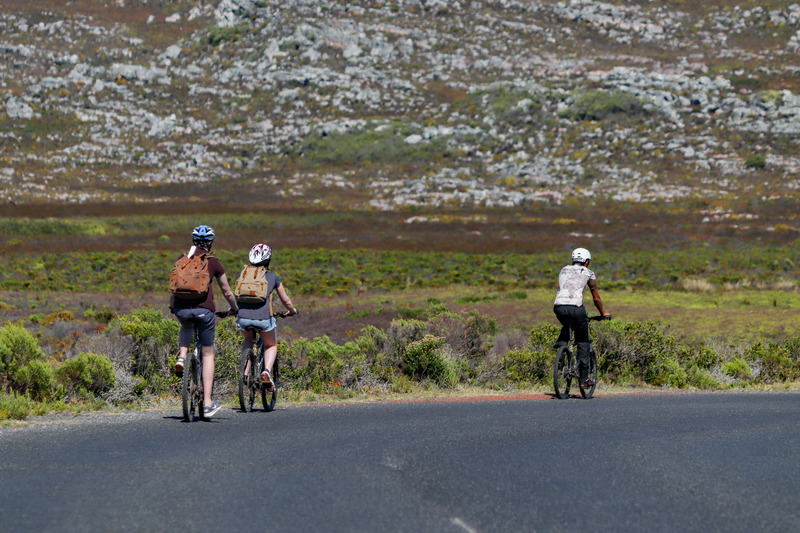 We cycle through the reserve and learn about the unique fauna and flora of the region. 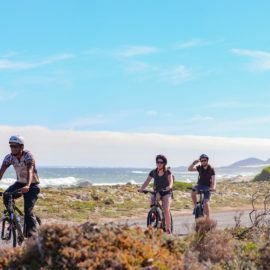 Cape mountain zebra, baboons, ostrich, eland, red hartebeest, bontebok and many more antelope, as well as abundant birdlife and even lynx and genet, may be spotted amongst the bush scrub. 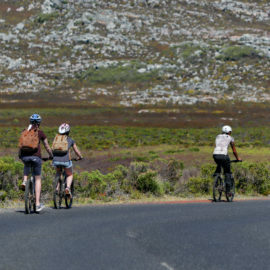 Make sure to be careful of the tortoises crossing the road! 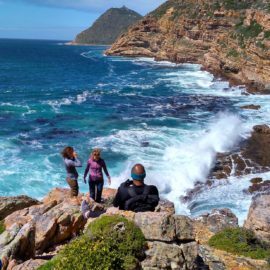 The sensational vistas of the shimmering Atlantic Ocean beneath craggy cliffs and sheltering secluded beaches will take your breath away! 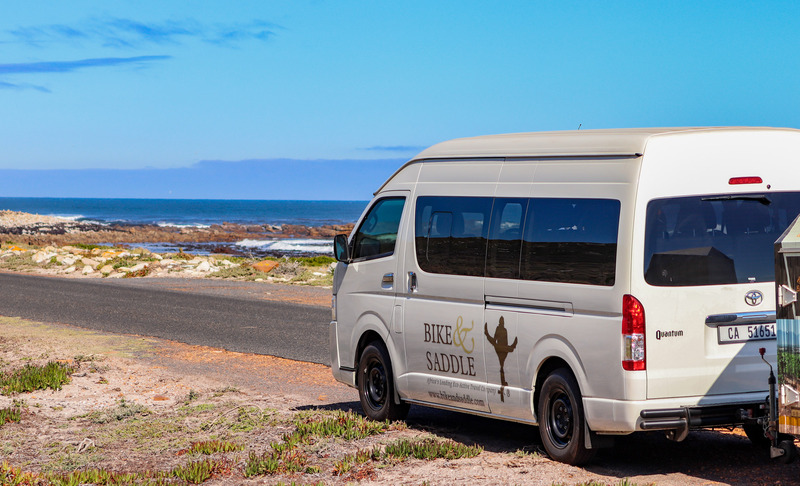 After an invigorating ride through the nature reserve, we break for lunch at the scenic tidal pools of Buffelsbaai, keeping an eye out for Southern Right Whales during the season (June – November). 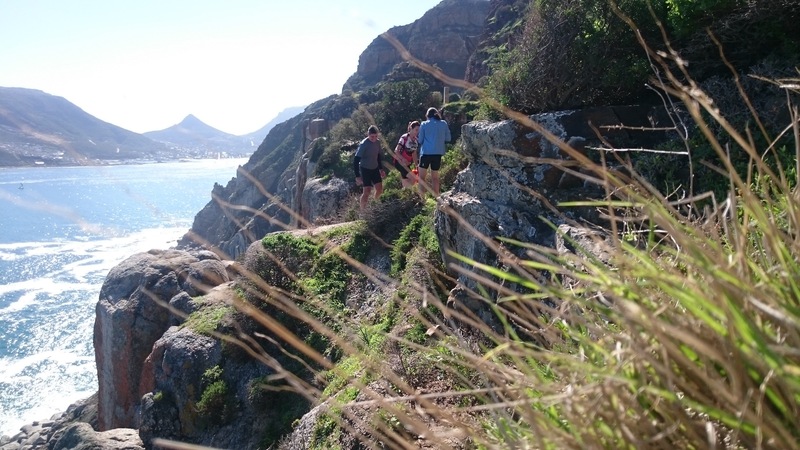 Here we enjoy a signature gourmet picnic – a just reward for our efforts! 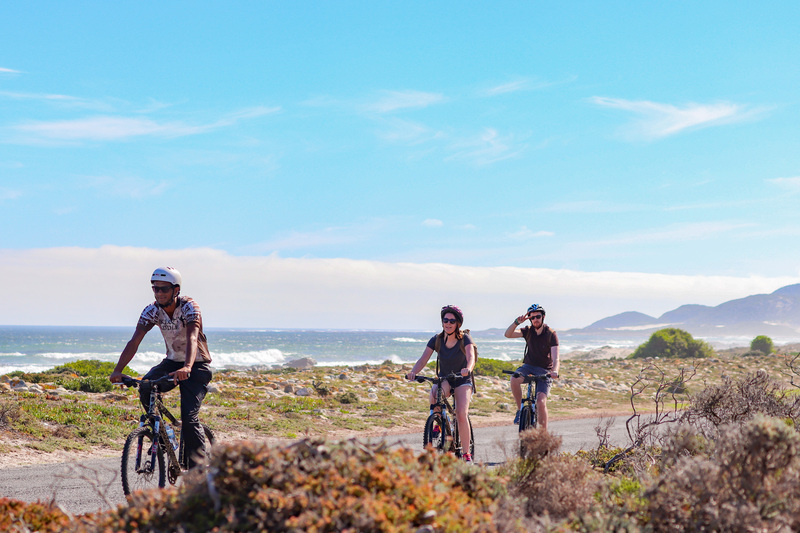 Stroll along the sandy beach, dip your toes into the freezing Atlantic Ocean and snap that postcard perfect picture. 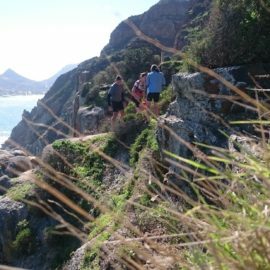 In the afternoon, we enjoy a guided hike to the old lighthouse at Cape Point which stands head and shoulders above everything else in the reserve. 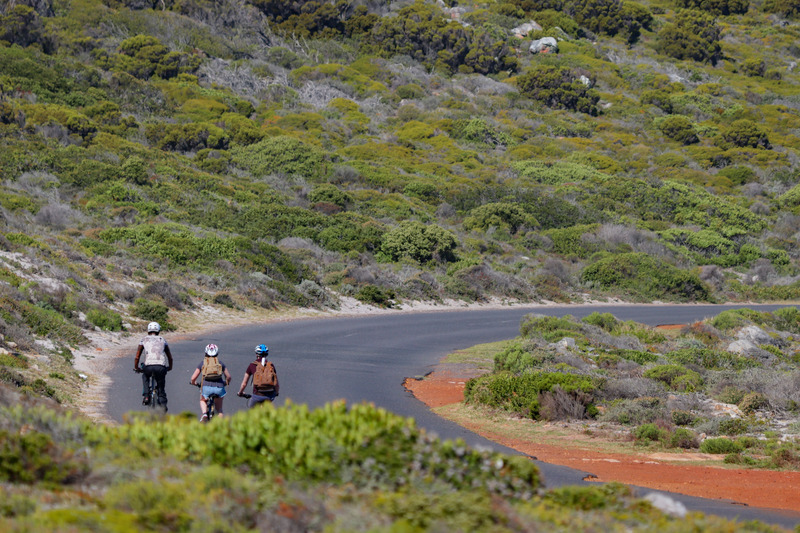 It was completed in 1859 and stands at 238 meters above sea-level on the highest section of the peak. 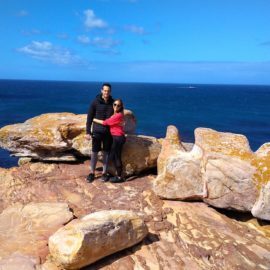 It was so often covered in clouds that a new lighthouse had to be built. 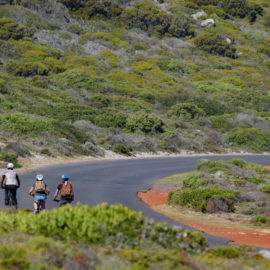 The historical building is now used as the centralized monitoring point for all the lighthouses on the coast of South Africa. 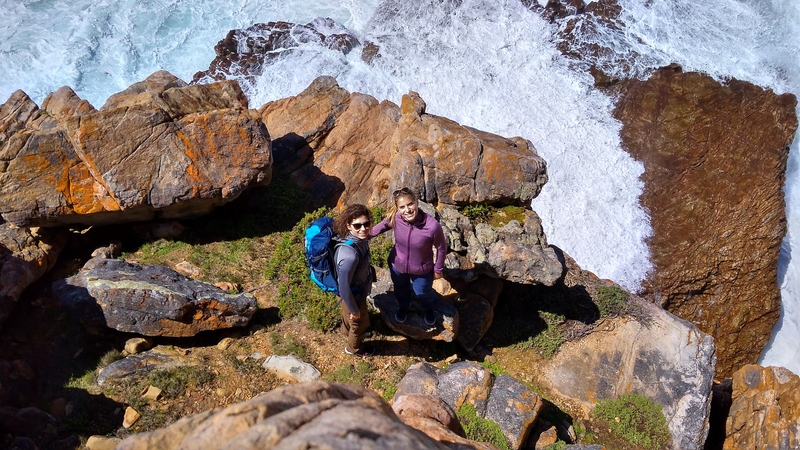 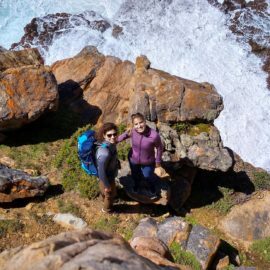 For the more active, we also offer a guided hike from Cape Point to the Cape of Good Hope, a phenomenal 1-hour walk which showcases the unsurpassed beauty of this hidden gem at the most southern tip of Africa. 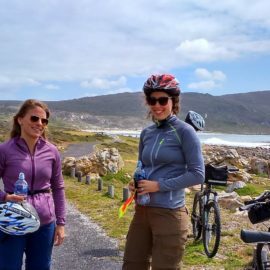 We break at the beautiful Dias Beach and continue onwards to the south-westernmost point in Africa. 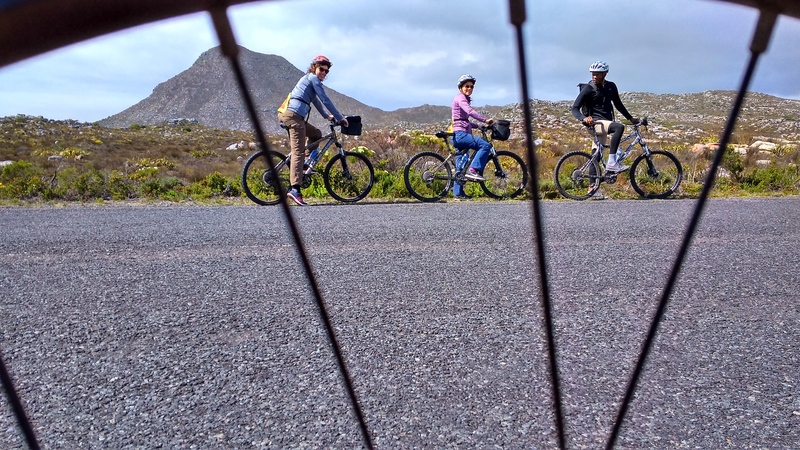 After a day filled with fun and adventure, we shuttle back to Cape Town. 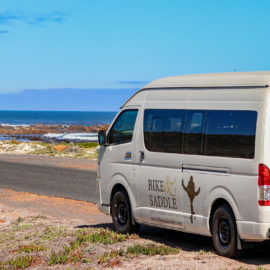 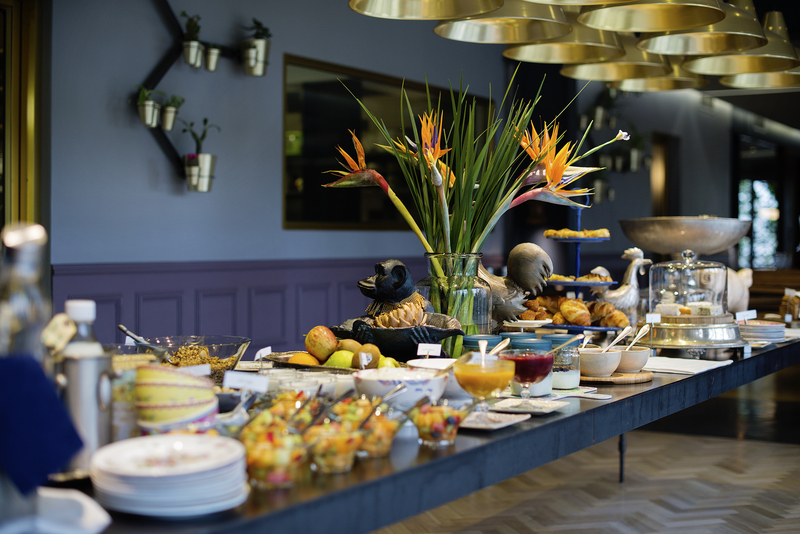 NB: This tour includes all equipment, transport to and from Cape Point, entrance fees, a gourmet picnic lunch and beverages and the services of an expert guide.